One of my photos from Marin and Daniel’s engagement session appeared in the Sunday Washington Post recently as part of their engagement announcement. I don’t think I’ll ever get used to seeing my photos in the newspaper, but I’m willing to give it a shot. 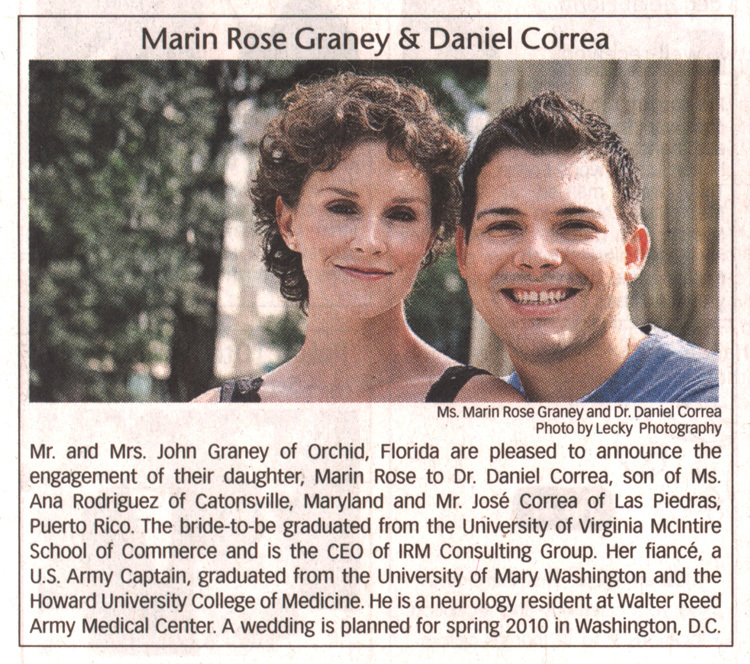 Congratulations again to Marin and Daniel!